Friends of Eaton Park is a community group that aims to help Eaton Park thrive. It is open to anyone who loves Eaton Park and wants to help. We work with the park’s many user groups, Norwich City Council and others to promote the park and the good things that go on here. We organise heritage, conservation and planting activities and raise funds for these and for things such as benches and ping pong tables for the park. 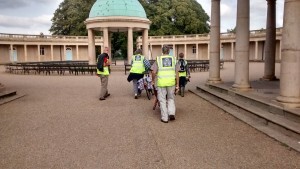 We also offer enjoyable and rewarding ways for local people to get involved in helping Eaton Park thrive. 2007: Constitution adopted. Friday Health Walks begin. 2008: Thousands of local people attend an Open Day celebrating the park’s 80th anniversary. Friends website set up. 50 people attend a moth hunt at the bandstand. BBC Breathing Spaces grant pays for a wildlife audit from of the park by Norfolk Wildlife Trust. Successful lobbying for bike racks in the park. 2009: Bulb planting and first litter picking. A park user survey highlights the need for improved information on what goes on in the park. A second notice board is installed. The Friends take on looking after the bandstand flowerbeds. 2010: Facebook and Twitter set up. 50 people attend a talk by Andy Anderson on the park. 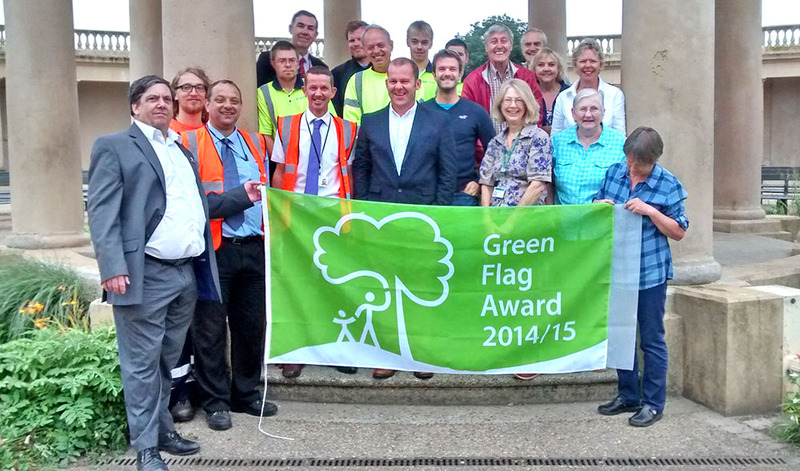 Eaton Park takes part in Heritage Open Days. 2011:The Friends win Norfolk Biodiversity Partnership’s ‘Community Biodiversity Award’. Recycled tubs planted up and installed in the Train Station and Community Centre. 2012: Darren Leader Studio designs the Friends a logo and leaflet. Fundraising activities are organised to coincide with summer band days. 2013: Norwich City Council offers the Friends a room as a base in the rotunda. Audit and cleaning of park benches. Two outdoor ping pong tables and new wooden bench installed. Six fruit trees planted as part of John Lewis anniversary celebrations. 2014: Grants from East of England Coop, Norfolk Community Foundation and Active Norfolk. Tuesday morning ‘Ground Force’ sessions established. Meadow development begins in earnest. Three new wooden benches paid and installed beside the boat pond. 2015 New website launched. Links established with Bluebell Primary School. Eight bird boxes and two bat boxes installed on trees near the meadow. Biodiversity Plan written and signed off with Norwich City Council officers. 200 young trees planted to reinforce the hedge along the South Park Avenue edge of the pitch and putt. 2016 Spring plant sales prove popular. Re-planting of the bandstand flower beds and lavenders beside the boat pond. Way-marked running track opens. The Café opens under new management – the Friends help with recruitment. Three new benches designed and made by Andrew Smith installed beside the model railway. Partnerships with Bluebell School and Heritage Open Days developing well. Goundwork done for rooftop tours to start in 2017. Over 800 people attend the Friends’ first carol concert, organised with Eaton Park Café and Norwich Community Choir. 2017 Significant expansion of schools programme as two local schools – Bluebell School and Clare School take part in year-round arts, planting and nature activities. Over 100 people come on our first year of rooftop heritage tours. Website updated and Facebook (3378) and Twitter (2084) thriving. Good year for fundraising with increase in individual donations and a magnificent £454 from Waitrose’ green tokens scheme. Investment in more and better tools and in litter pickers. Events include a Tree Walk, Butterfly Day, our first Fungus Day and two tours as part of Heritage Open Days. Planting of new avenue of walnut trees. discounted annual household membership of Norwich Parks Tennis @ Eaton Park (£15 instead of £30. Email chris@eatennis.com for details). Active, sociable sessions helping with ‘icing on the cake’ tasks to compliment the work done by the Norwich Norse (Environmental) Ltd. We look after the bandstand flower beds, a little orchard, the pictorial meadow near the railway. We also clean notice boards, entrance signs etc. In summer 2018 we completed our biggest fundraising project so far, the installation of a petanque terrain complete with new bike stands and benches. Funding came from a generous individual donation from one of our members, and a grant from Sport England. Historically seating in the park has concentrated in the park’s architectural central points – the bandstand, rose garden, lily pond and original bowling greens. The park’s lack of benches reflects its beginnings in the 20th century. Its first years (the site was bought in 1904 but didn’t open until 1928) took in two world wars, the Great depression and the recession of the 1970s. At over 80 acres, large swathes of the park are entirely without benches. Benches encourage people to use the park differently; for reading, meeting with friends, picnics etc. For less mobile visitors, benches are the resting points that make a walk in the park a possibility. Since 2014 we have raised funds and paid for nine new benches including three specially commissioned benches near the model railway. We have also promoted the possibility of individual donations of benches and this has led to a further eight benches being installed. We also raise funds to support our various activities; to buy gardening tools, plants and bulbs; to pay for experts to lead walks and activities; for bird and bat boxes, and to sustain this website and other publicity promoting the park and good things that go on here. If you would like to make a donation please email info@friendsofeatonpark.co.uk. There are various options and we’ll be happy to talk through ideas with you. Andy Anderson’s book, ‘The Captain and the Norwich Parks’ is available to buy from Jarrold and City Books.